Is Your Club or Community Group Heartsafe? JHMT joined forces with Leicester City Council to help create a heart safe community. This has since resulted in the council installing 31 x defibrillators located in 23 city parks and open spaces, as part of Leicester City Council's Heart Friendly Parks initiative. JHMT deliver lifesaving CPR and AED familiarisation sessions for parks users, staff and local residents across the community. 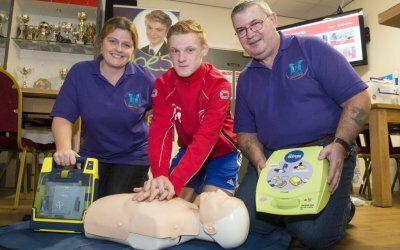 JHMT helped create a collaboration to promote AED provision and "hands-on" CPR training to all secondary schools in Leicester and Leicestershire. This group is now known as "Heartwize" and aims to ensure that a quality assured programme of CPR training is maintained in all Leicester, Leicestershire and Rutland Secondary Schools –resulting in 93 AEDs donated to city and county secondary schools and 20,000 so far trained in key lifesaving skills. JHMT joined up with Leicestershire County Cricket Club and the Leicestershire Cricket League to develop the Heart Awareness Cricket Scheme to help create a heart safe cricket environment at all levels of the game.Leicestershire County Cricket Club now have seven AEDs located around the Fischer County Ground, Grace Road. The new equipment will allow quicker access around the ground as well as allowing the public 24 hours access to the one situated at the main entrance on Curzon Road. The HAC partnership has helped drive the initiative into local cricket clubs. 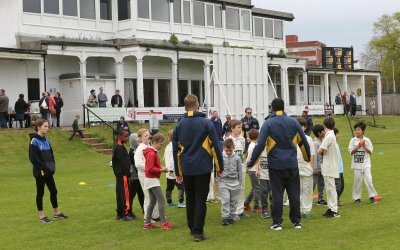 The Heart Awareness in Cricket programme's on-going work aims to provide all premier league clubs and clubs across other leagues with dedicated support, advice, guidance around accessing funding to secure a defibrillator, external cabinet and in providing training to the clubs volunteer network.